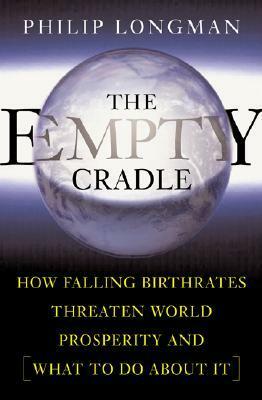 This is an interesting, easy-to-read book which details the global phenomenon of diminishing fertility, its causes and its consequences. To summarize: fertility rates are dropping everywhere, it's because people are selfish and stupid, and because of it we're pretty much screwed, at least in the first world. The book doesn't propose much in the way of solutions, probably because the author is a liberal and it was his type of thinking that got us in this situation to begin with (one of his primary worries is a rise of fundamentalism, by which he means, and increase in the relative number of religious people). He writes about how changes in laws and financial benefits have been unable to reverse the trend anywhere in the world, but then recommends changing the laws and offering more financial benefits as the only possible solution. Maybe he needs to reread the first part. Sign into Goodreads to see if any of your friends have read The Empty Cradle.